From ancient times, rivers and canals were used as the natural and safest communication routes for the transport of goods and passengers. 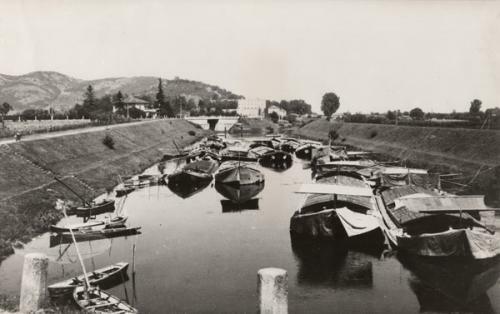 In particular, in the Veneto region, the close-knit river system influenced the development of social and economic relations, enhanced by a vast and highly developed range of types of boats. 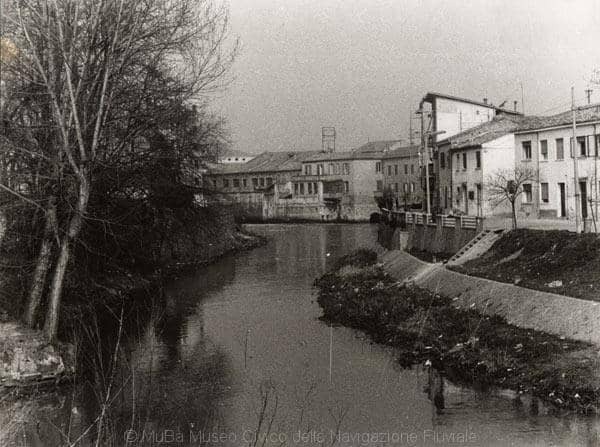 The central position of the Padua area, the nodal point between the lagoon of Venice and interior Po Valley, allowed for the development of communication through the Brenta and Bacchiglione rivers and their tributaries. 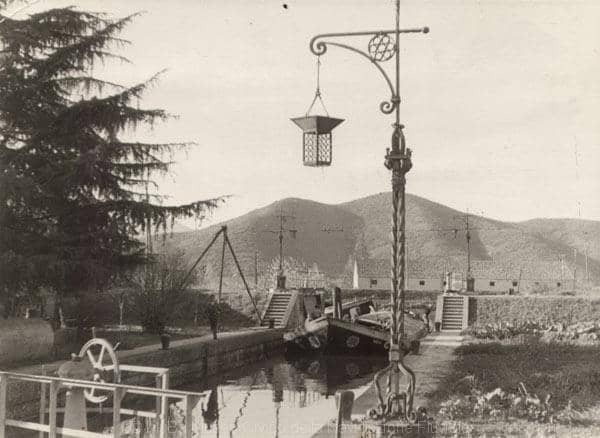 The easy access to main water routes thanks to a sophisticated system of connecting canals, bulwarks and other hydraulic works, further enhanced the already-flourishing agricultural, artisan and industrial activity, offering a wider market area. Within this context, Battaglia Terme was the nodal point of a vast network of traffic. At the centre of an area with intense manufacturing and, above all, quarrying activity (trachyte and flakes from the Euganean Hills), it was the convergence point of major waterways connecting the hill area and Padua lowlands with the main water routes in northeast Italy. 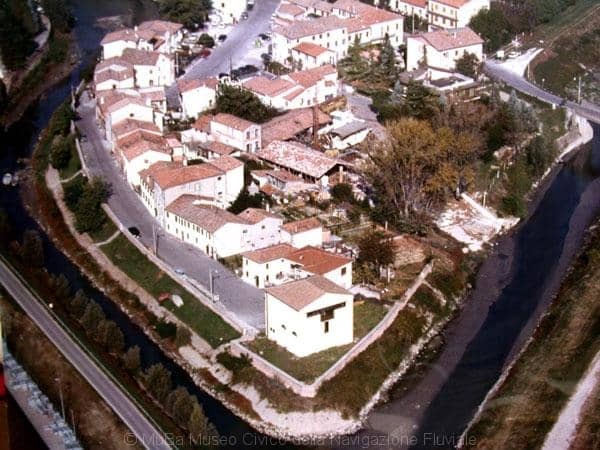 It is located at the point at which the Bisatto and Battaglia canals (arriving respectively from Este and Padua) join to become the Vigenzone canal connecting Battaglia with Bovolenta, Pontelongo and on through to Chioggia. 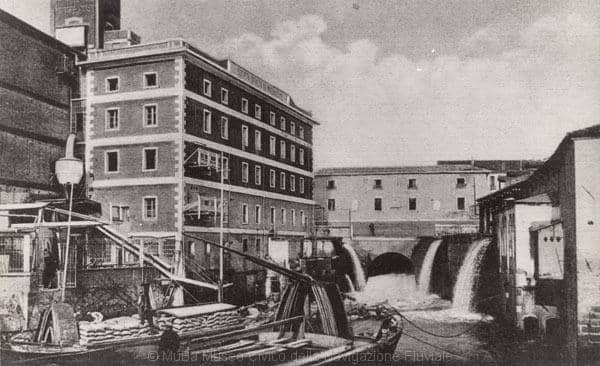 The town’s settlement and development were closely tied to river commerce and the harnessing of hydraulic energy (mills, paper production, hammering). 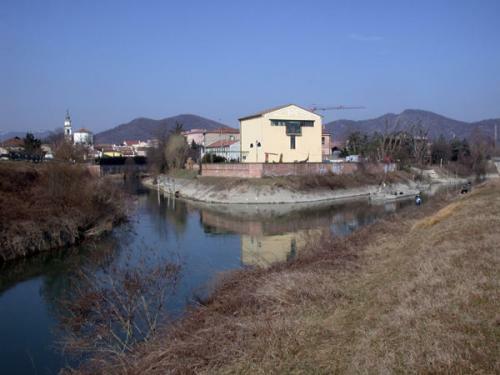 The Battaglia Canal was dug between the years 1189 and 1201, creating a river “highway” to connect the fortified outpost of Monselice and the Euganean Hills with the city of Padua. The arrival of significant numbers of workers to realize this project and the subsequent settling of families of skilled labor tied to the river—such as boatmen (barcaioli), riders (cavalcanti), stevedores (sabionari), boatyard workers (squeraròi) and millers-formed the earliest inhabited center of Battaglia. These “river workers” had their own culture tied to specific work-related objects and an intelligent use of resources adapted to the slow and often irregular flow of water. 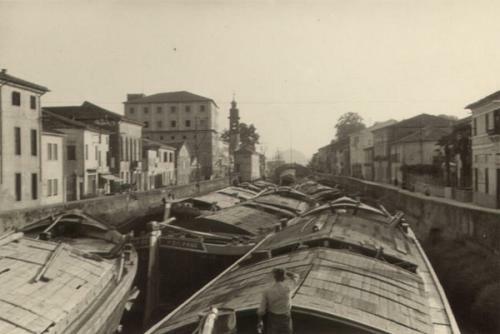 Between the boatman and his freight boat (burcio or padovana) a toil- and emotion-filled relationship was established. 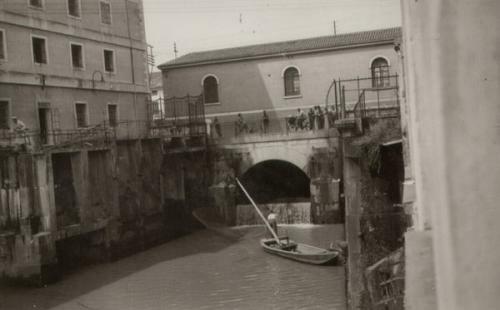 His boat was his home and the setting in which both the everyday and momentous events of life took place. 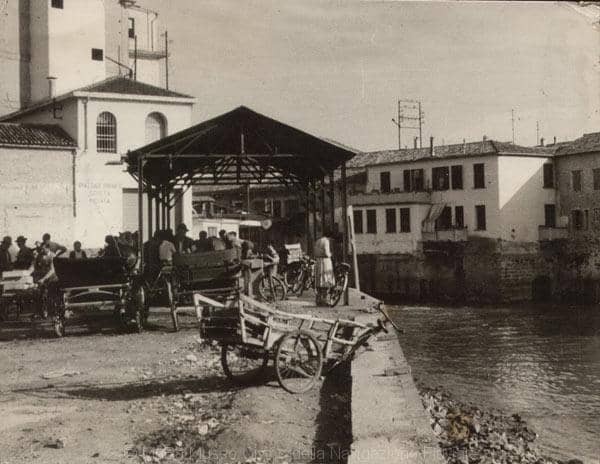 It not only transported goods, but was also a means for getting to know the “outside world” which the boatman saw float by while on the river and in which he himself entered during the long stopover periods while waiting for his boat to be loaded and unloaded. In it, he passed through the basins and butà, the flooding created artificially twice a week to make up for the shallow river bottoms.